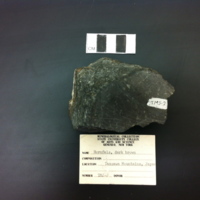 The sample is fine-grained, and the majority of the rock is dark grey in color. There is a 2.5x4cm white crystal formation on the upper edge of the sample. 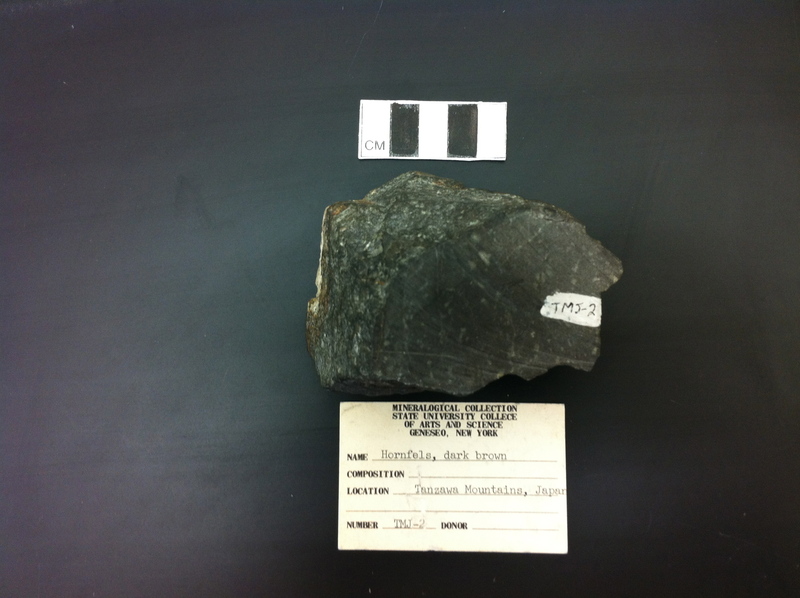 There are fractures running through the sample. 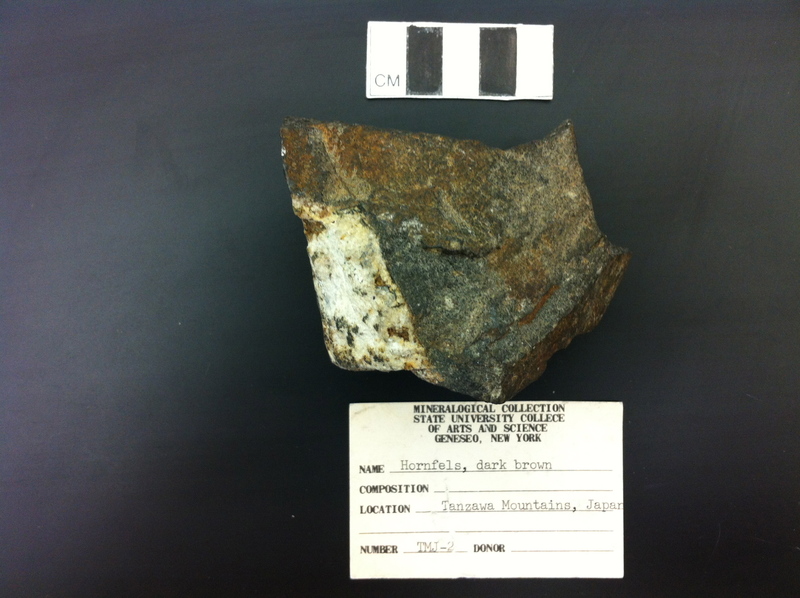 There is some chemical weathering found on the outside of the sample. 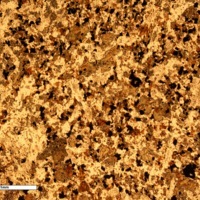 The chemical weathering is rust-like in color, likely indicating an oxygen and iron reaction. 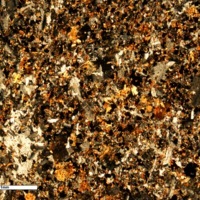 The sample is densely spotted with hornfels. It has a smooth texture overall. There are some micro-fractures with clusters of plagioclase (1~5mm in diameter). There is a single euhedral garnet crystal that is enclosed in another mineral. There are some inter growths of the matrix within some of the larger plagioclase samples. 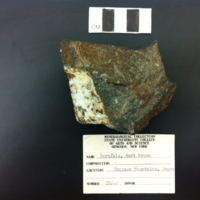 “Hornfels, Dark Brown,” Geneseo Geoscience Collections, accessed April 25, 2019, http://www.geosciencecollections.milne-library.org/items/show/334.